← Promoting Bonsai in the Tararua District, New Zealand. I created a Pohutukawa bonsai once in Auckland which then subsequently moved to Christchurch. It was well looked after until left with a neighbour once, when on holiday, and it was snowed upon! 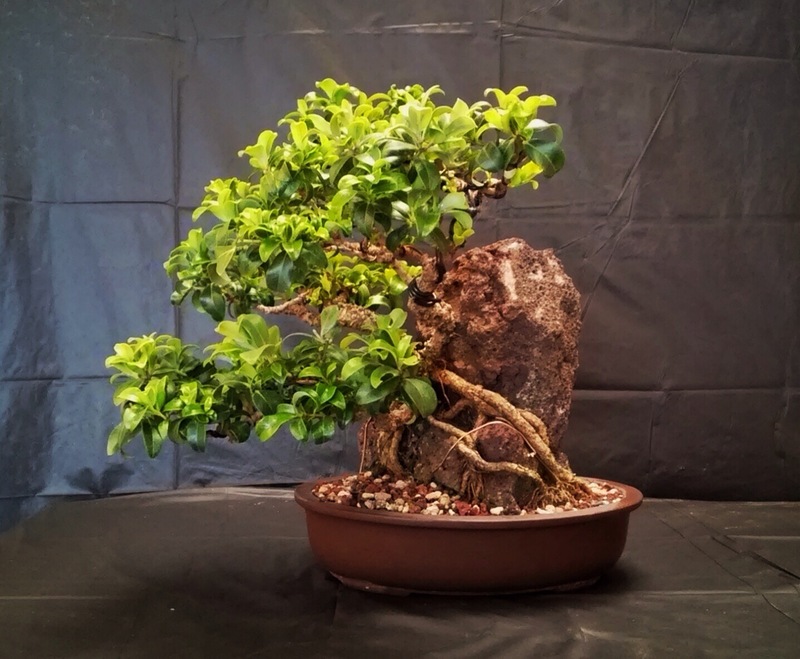 The tree has since recovered, been re-potted onto a large rock and flowers when it is inclined to. It was difficult finding a pot large enough for the rock – never mind the tree! Thanks for your interesting words. I think we can find a lot of inspiration from full size trees if we actually look.